Posted on November 27, 2013 · It's been six months since a motel fire in southwest Houston killed four firefighters and injured 13. 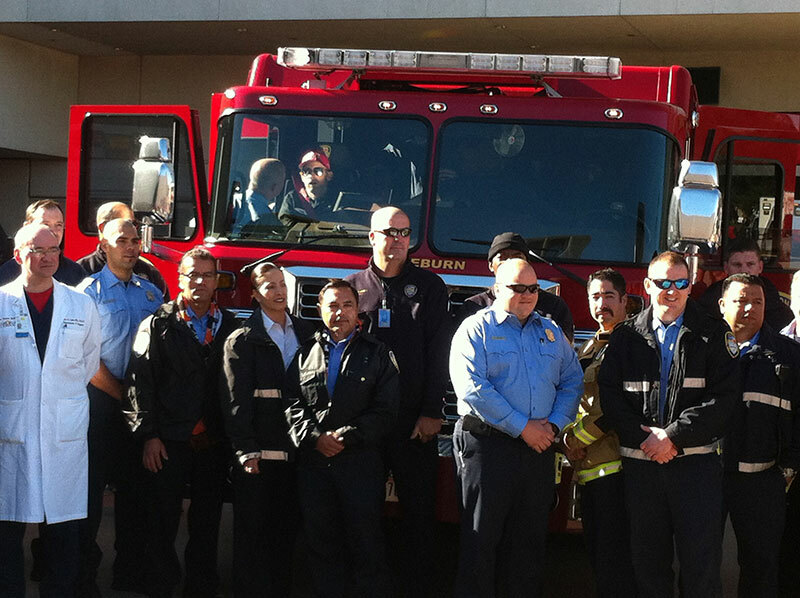 Today, the last firefighter was released from the hospital. Posted on June 5, 2013 · Thousands attended a memorial service today for the four Houston firefighters killed while battling a motel fire last week. It was a somber ceremony for the three men and one woman who died doing jobs they loved. 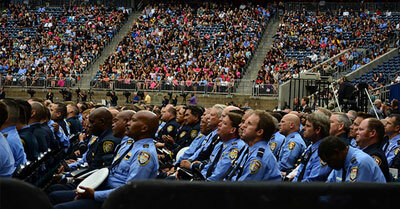 The service celebrated their lives and legacy within the Houston community. Posted on June 4, 2013 · The evidence recovered at the site of last Friday's 5-alarm fire will hopefully give investigators a clearer picture into the cause that killed four Houston Firefighters. Posted on June 3, 2013 · Few details are emerging as the Houston Fire Department is preparing for a memorial service honoring the firefighters who lost their lives on Friday. 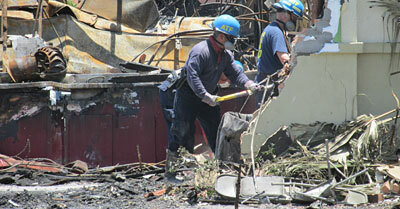 The investigation of the five-alarm fire at a motel in southwest Houston may take months. Posted on June 3, 2013 · During Friday's 5-alarm fire, a roof collapsed killing four firefighters. Throughout the weekend citizens from around the community have come by Houston Fire Station #51 in Bellaire and Houston Fire Station #68 in Houston. 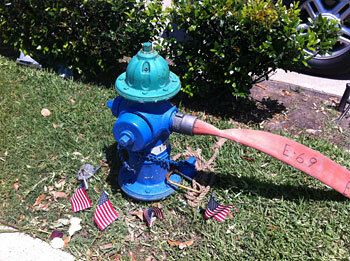 People left balloons, flowers and donations to pay their respects to the fallen firefighters. An official Memorial will take place at Reliant Stadium on Wednesday, June 5, 2013 at 10 a.m.
Posted on May 31, 2013 · Houston Mayor Annise Parker has confirmed that four fire fighters are dead, six are injured and two are in critical condition.